I left home for Clear Lake on Wednesday October 4th. I was excited to get to fishing even though the bite had been very tough. I didn’t get on the water very early so I decided to stay kinda close to the launch in the mid lake area. I focused on docks and trying to find the most productive docks and mark them on my Lowrance units. I probably covered 120 or so docks that day and marked a total of 6. I also found a couple other little areas that I marked as possible alternate areas to try come game day. I finished the day with 14 lbs with most of them caught on a nail weighted senko. Color didn’t seem to matter too much as I caught em on 5 different colors. I returned to the house and prepped for day 2. My plan on day 2 was to run south into the creek. I fished from the mouth in about half way before I decided it wasn’t fishing like I had hoped. I worked my way back up the lake and settled in on the bays to the east side of the lake. I found the drop shot and senko bite to be good. I also caught a couple decent fish on a brown and purple jig. I bounced around and caught some decent fish, but it all seemed so random. Junk fishing at its finest. I ended up running north to Lakeport and fishing around a little bit with little success. I may have given up on the north end way to fastI finished the day with 17lbs and was feeling like I could scratch and claw my way to a decent finish. With that in mind I decided to change it up on day 3, my final day of practice. Day 3, I went out with an array of reaction baits on the deck. Really I had that every day, but this day I committed to throwing reaction to try and figure out the missing piece of the puzzle. I knew I couldn’t win without getting some big bites. I committed to a chatter bait, spinner bait and a square bill. I also committed to the Rattlesnake arm for the day. I began on one side and worked down, then back up the other side. At about 9am I was burning a chatter bait in a shad pattern when the rod loaded, I set the hook and fought a beautiful 6 lber to the boat. I continued down the bank with the same bait and 4 casts later the rod loads again. This time it was a pig, 9lb beauty. At this point I believe I found what I needed. I continued up the other side of the arm and caught several in the 3-4 lb range. I wrapped up at 12:30 with 26lbs for the day. I was excited at the possibilities to say the least. Tournament Day 1, we drew middle of the pack so I wasn’t to concerned about where we started or if there was someone on a spot. I figured I could cover water and catch a decent bag. Much to my surprise out starting spot was open and no one insight. We began fishing through the meat and got nothing., I picked up a swim jig on a point and caught a few decent fish. We worked the area a bit and decided to move on. At this point we moved to some docks and began flipping a senko. First flip was a 5 lber. We continued working the area and picked up a couple more fish and culled a couple. At this point we had about 15 lbs. This was time to pick up the chatter and keep throwing it. Around 2pm that magic happened and I caught a nice fat 7lber. We high fives, culled and got back to work. We didn’t cull anything else that day but I felt like we would be sitting good. Well we ended up leading and I was a bit surprised. Of course this sets up expectations. I was well aware that my pattern could fall a part as I wasn’t get a ton of bites. However I was committed to trying to win this event and thats the only way I knew to get the big bites I needed. So out we went. I decided I was gonna hit new water rather then going straight to the recycled stuff. The chatter was not getting bit until the sun was up so I committed to the senko and drop shot. The morning bite we missed by trying new spots. I returned to my dock area and in short order had 3 small fish. We returned to the area that the swim jig was working the day before and we caught a few more fish. We were culling now but by ounces and not lbs. We had a small 9 lb limit and decided to move around and try to find a big bite. After all that was how I got there. About 2 pm I got that big bite on a dock and set the hook. The rod loaded and I said this is a giant. No sooner had I said that and the line went limp. I was cut off by something in the water. That’s the life of fishing docks. We continued on with trying to get a better bite. Throwing the chatter between docks in the open water and senkos on the docks. We caught 2 more fish but they were no help. 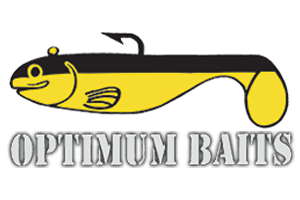 My partner Mike Tremont also caught a weigh fish each day on a crank bait. We weighed 9 lbs and some change to finish with a bit over 30 lbs. Good enough for a 7th place out of 186 teams. We were bummed to say the least, but that’s fishing. We will move on to the next season and continue to improve on what we learned. I was using a Powell 705 CB 3D Max rod paired with a Daiwa Tatula CT-R 6.3-1 casting reel spooled with 14 lb FC Sniper for the chatter bait. A Powell 764 3D Max paired with a Daiwa Tatuls SV spooled with the same 14lb FC Sniper for the swim jig. The Senko I was using a Powell 734 3D Max paired with the Daiwa Tatula SV 8-1 ration with the same 14 lb FC Sniper. The 14lb Sniper casts very well and is very strong. It was important to make long casts with the swim jig and the chatter bait as most bites came at a good distance from the boat. 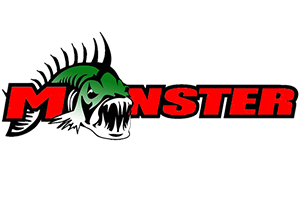 I also want to thank Mosterfishingtackle.com for the overnight delivery on the items I needed for this tournament. They rock with great service and selection.